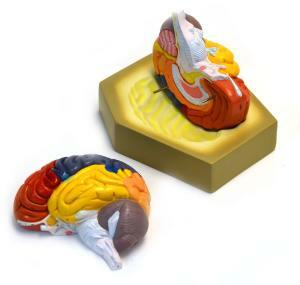 Real size human brain model with fine detail of structures and colored to highlight all parts and regions of the brain. The left side has 34 structures identified on an included key, while the right side has no numbers and is excellent for study and quizzing. Both sides fit together, pins and model can be displayed on included base.